For most people, having professional portraits made is not a regular occurrence. It's typically a ritualized procession that takes place around the marriage rite, at the birth of a child, or some other universal milestone. Other than these highlights, it takes a touch of boldness to celebrate life in front of a professional lens. 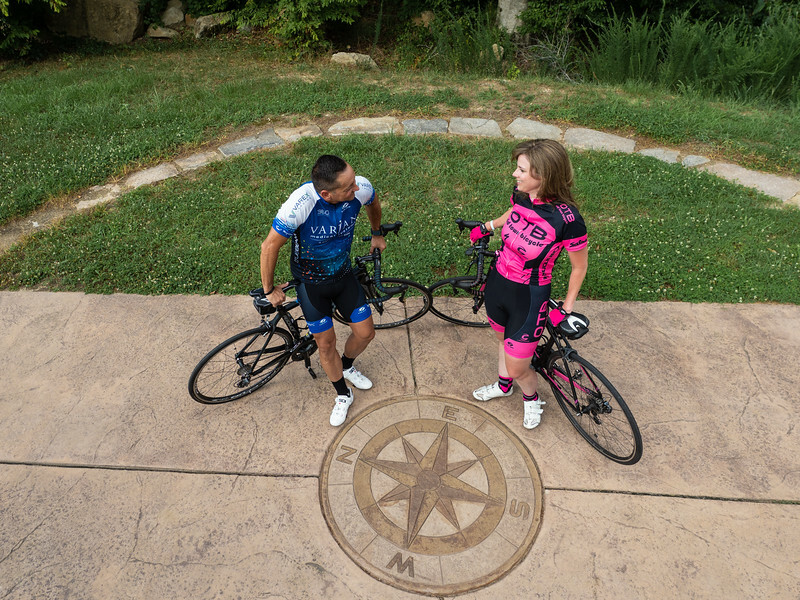 Jessie and James understood this when they booked us a year ago for a couples' session based around their mutual love of cycling. James is a triathlete, completing the Half Iron Man in Raleigh, NC - that's a 70.3 mile long Triathlon (!) - 1.2-mile swim, 56-mile bike and 13.1-mile run. So yeah, we've been looking forward to this session for a while and we're so excited that they chose us to create something unique for them to remember this part of their lives. 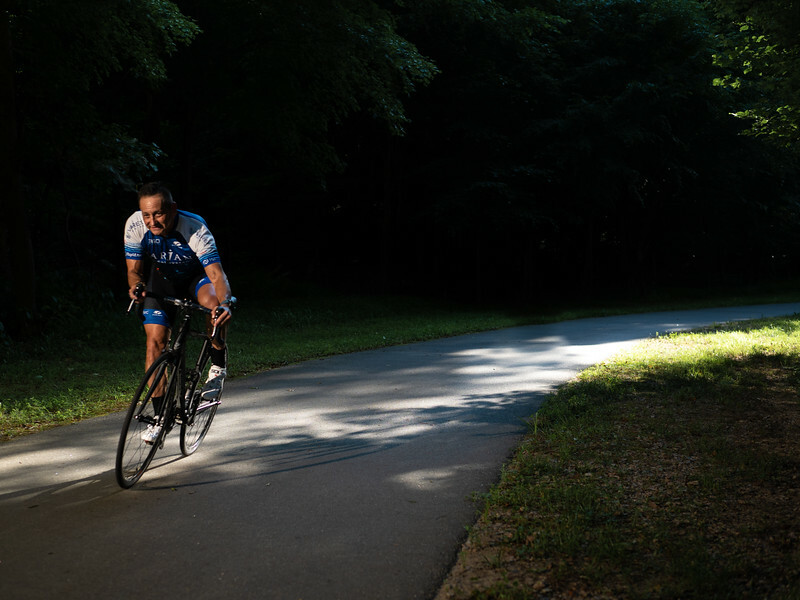 We did some scouting ahead of time since we knew we needed a safe location for them to be on bikes for most of the session, and decided on the Neuse River Trail in Raleigh which is part of the Greenway system that spans the Triangle. We were hoping that the sunflower fields that were in this area last year would be in bloom, but it turns out the City of Raleigh secretly moves the fields each year to new locations. With or without flowers, this turned out to be an awesome session and we couldn't have asked for a more patient and ambitious couple! Excited to try new things, they were open to our ideas and took moderate risks riding at high speeds along the curvy paths!